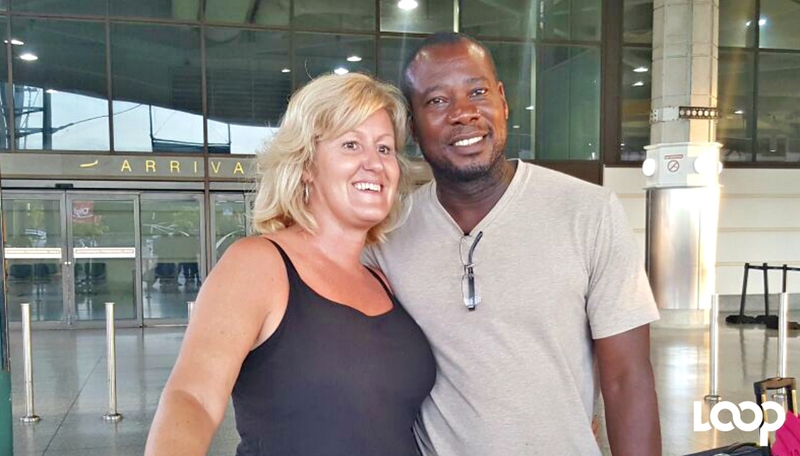 SMILES OF RELIEF: Glenna Smith and Romeo Addison after arriving at the Grantley Adams International Airport Wednesday afternoon. Smith and Addison were part of a group of 12 people evacuated to Barbados this afternoon. They came in on a British military aircraft just around 4:30 p.m.
"Feels really good to be home," Smith told the media upon arrival. Smith told Loop News this morning that she and her husband, along with others seeking evacuation from Tortola, were put up last night at the home of a local police officer. She said they are among a group of 12 Barbadians, both visiting and resident there, who have come to the airport this morning hoping to get out today on military evacuation. When asked if there was any indication of what time they might leave, she added, "Possibly 1:30 [p.m.] but British military needs to get ok from Barbados." Smith told Loop News on Tuesday that most of the information they have been getting is from family and friends and "the hardest part is lack of clear communication". "It would have helped to have an earlier coordinated effort by officials," she said. "A week is a long time in these conditions and no idea when or how we are getting out. 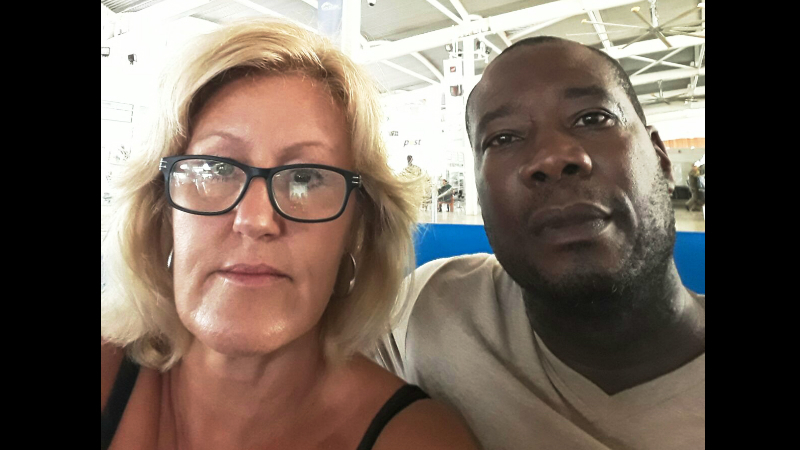 Terrible feeling"
It’s been almost a week since Glenna Smith and Romeo Addison expected to be back in Barbados, but their September 6 flight home from Tortola was cancelled due to Hurricane Irma. 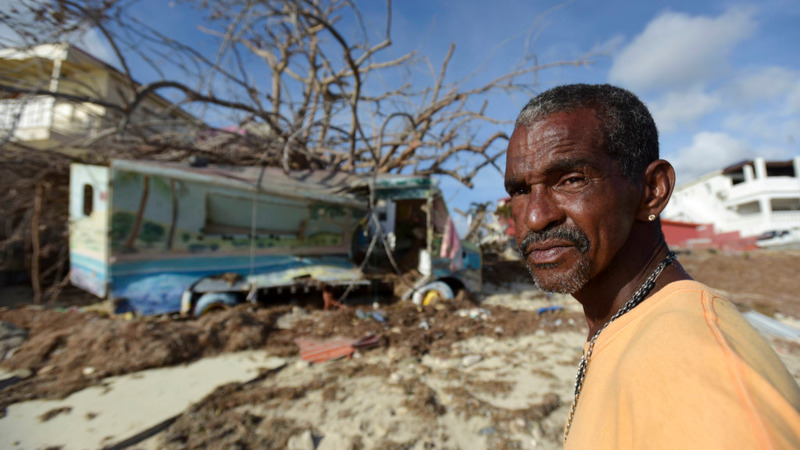 Addison, a Barbadian national, and Smith, a Canadian citizen and Barbadian resident, say they are exhausted and have nowhere to go. They arrived in Tortola in the British Virgin Islands on September 2 and are now desperate to return. Glenna Smith and Romeo Addison in the airport in Tortola Tuesday evening. Speaking to Loop News via Whatsapp Tuesday evening from the airport in Tortola, Smith said they don’t know what to do next. 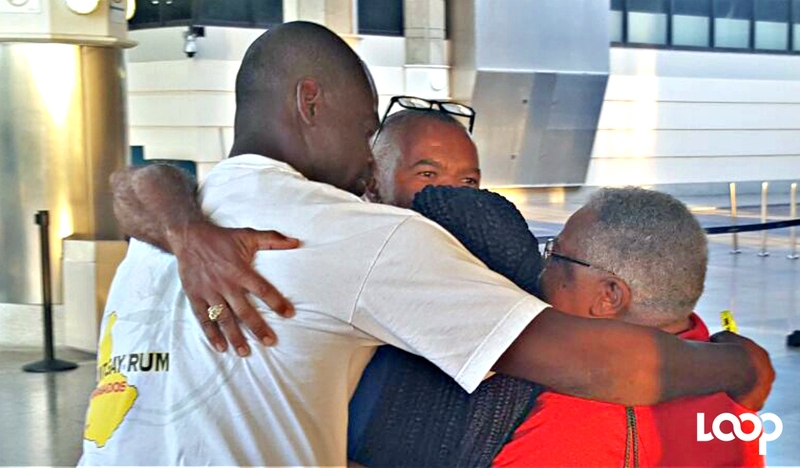 She said after finally getting to the airport, the soldier in charge for Barbados told them at 3 p.m. there would be no flight today and they had to leave. According to her, the situation is made more difficult with the 6 p.m. to 6 a.m. curfew in place across the island. The roof of their hotel which landed on cars in the parking lot during Hurricane Irma. Smith said they had been staying at Maria’s By the Sea in Road Town, which did a good job of taking care of them while they were there, but the hotel sustained a lot of damage in the hurricane and now only has one section open. In addition, they need to be close to the airport as taxis are hard to come by since the majority of cars on island are damaged. She lamented that there is a lack of clear information about when and how evacuations are being conducted. On Sunday, Governor Augustus Jaspert, addressing citizens on BVI Radio for the first time since the passage of Hurricane Irma, announced that the curfew will run from 6 p.m. to 9 a.m. every day until further notice. Jaspert said the curfew is necessary to help clear the streets. Jaspert said ports including the airport are opening but priority will be given to military and technical expertise. 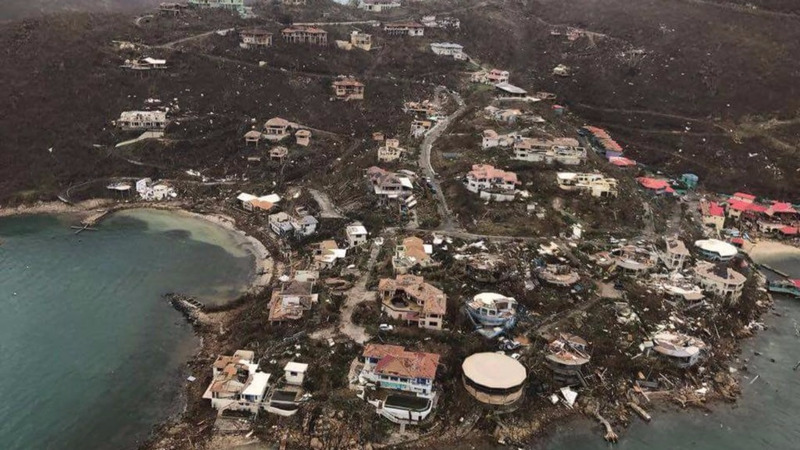 Following the passage of Hurricane Irma last week, there were reports of looting in the BVI. 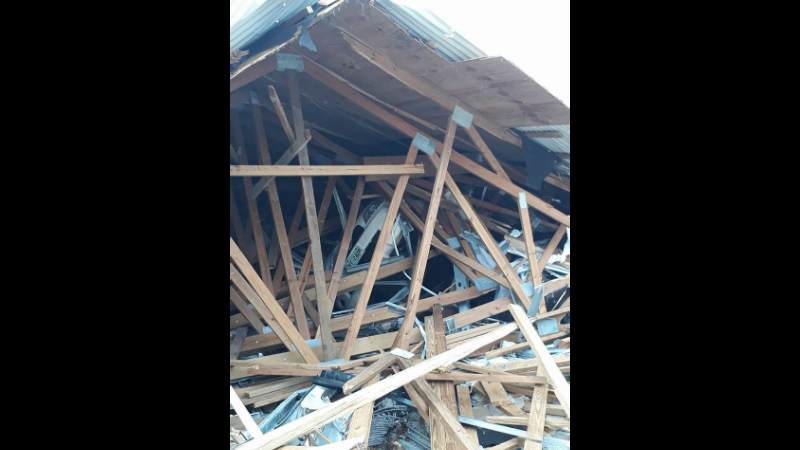 According to the CDEMA post-impact report issued on Sunday night, the BVI has recorded four deaths. 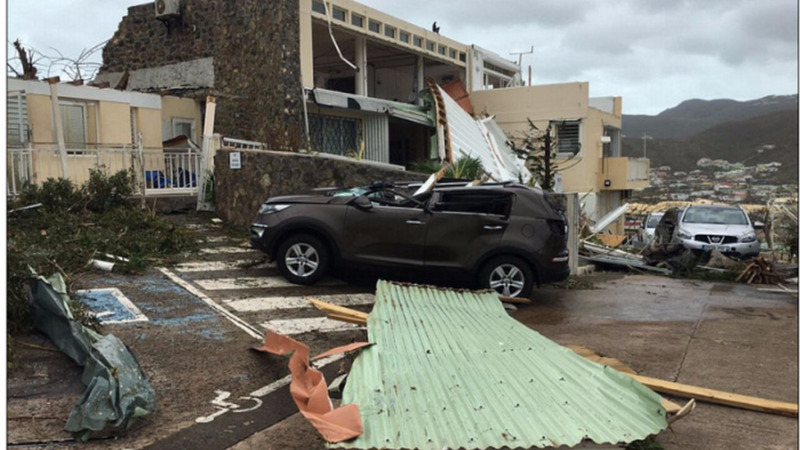 There is significant damage to the electricity and water systems and there are limited water and food supplies, while the hospital has been impacted due to damaged utility lines. The National Emergency Organisation Centre (NEOC) was destroyed, the airport tower was compromised and a State of Emergency was declared.